We have been offering Responsive Web Design services for quite a while now, so we really should take a rap on the knuckles for the fact that our own website did not behave responsively. Client work always takes precedent over any other work, so that is our excuse for the tardy conversion of our site to a fully responsive website. Our site is a great showcase of how an existing web design can be converted so that it behaves responsively – optimizing the users experience no matter what they are using to view the site, desktop, laptop, tablet or smart phone. We made no changes to the design or look and feel of the site but all the work was done on the code which powers the site – under the hood so to speak. You can experience this yourself just by re-sizing your browser window ( Firefox and Chrome work well for this). 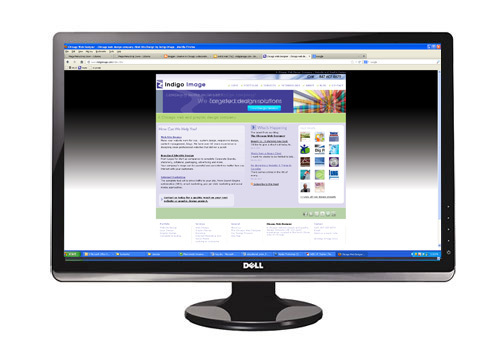 Looking to convert your website into one that is responsive? This type of coding conversion can be readily achieved on most websites. 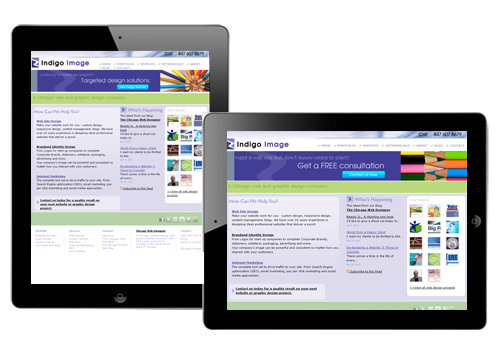 If you are looking to convert your web site into a responsive web site we offer a free review service. Contact us today or call 847 607 8679 to get started. 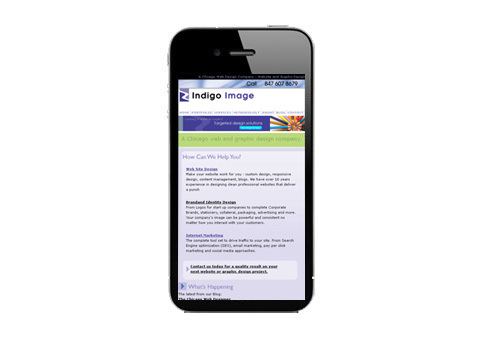 This entry was posted in Responsive Web Design, Web Design Projects and tagged Responsive Design. Bookmark the permalink.